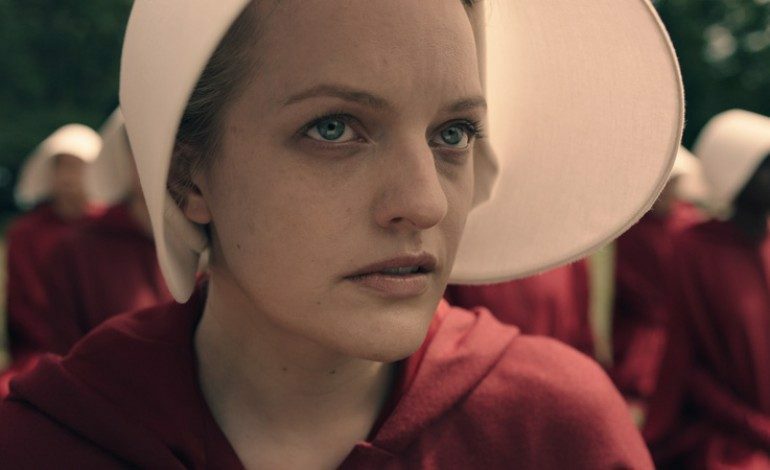 During the big game this evening, Super Bowl 53, Hulu’s original and Emmy-award winning series The Handmaid’s Tale aired a TV spot to advertise its upcoming third season. Since the second season of the series, the story delved further into events that weren’t apart of the Margaret Atwood’s famous dystopian novella. The shocking decision made by the series’ protagonist June left many fans reeling with anticipation for what everything means and what her next move would be. Adapting the “It’s morning again” campaign rhetoric from the former conservative political icon and president Ronald Reagan in the 1980s. However, while the Reagan ad proclaimed “More men and women will go to work than ever before,” The Handmaids Tale spot singles out women in this line, and runs it over the backdrop of what appears to be footage of imprisoned women toiling in the Colonies. They stand opposite of the giant crucifix that replaced the Washington Monument, symbolizing the indication that the resistance has indeed arrived. You can check out the full teaser below as Season 3 of The Handmaid’s Tale premiers in 2019 on Hulu, feel free to catch up on the series as every episode is currently streaming exclusively on Hulu.